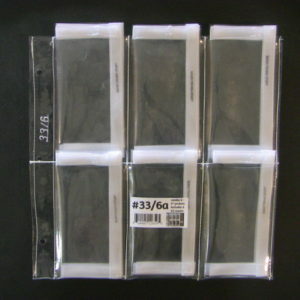 #33/6=6-4″ x 6” open pocket sleeve. 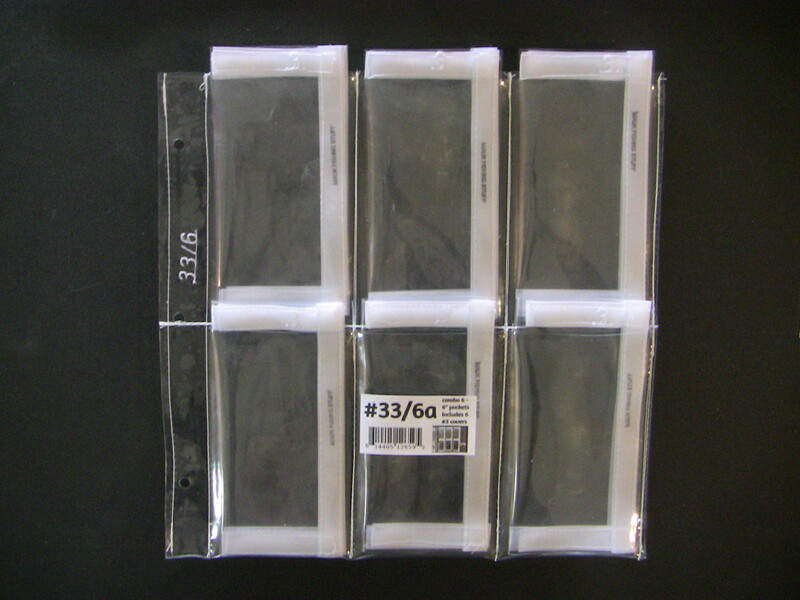 Made to hold our #3 covers. 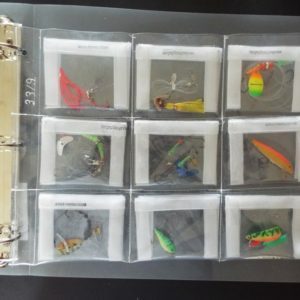 I made these out of the need to keep my tackle organized. 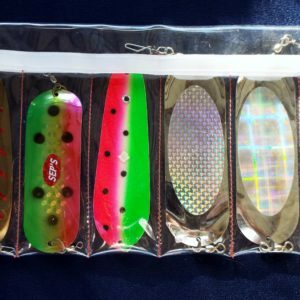 I started by making the lure covers starting with our #1, and 2 and so on. 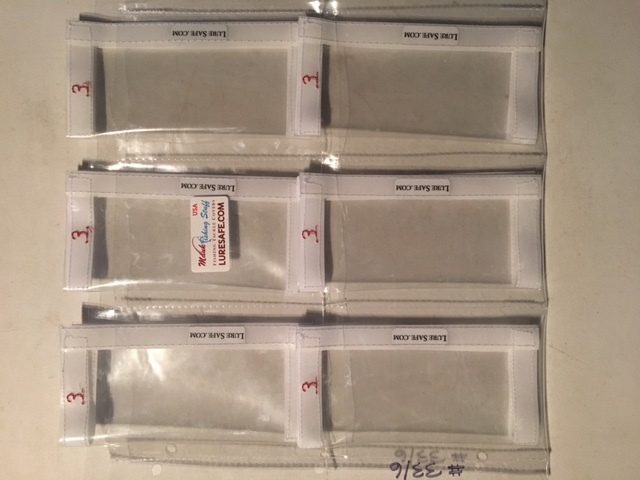 These are very important as I can keep the tackle on the poles and in tackle boxes without them getting all tangled up, Then I needed a way to hold the covers and I came up with the sleeves and then the mega sleeves to hold multi covers. This is just one of the many sleeves I have made. These hold our #3 covers they will also hold tackle and blades. These do not have fasteners but I have added a handle on some of them and grommets for our binders. So of the mega sleeves have a shock cord that is a handle that also wrap around to keep it closed.Be sure to look at the description to see which option each product has what.